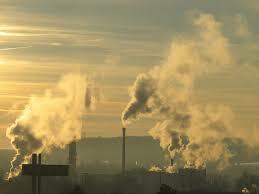 Have you ever stopped to think about what’s in the air we breathe? Sure you’ve got oxygen, nitrogen, carbon dioxide, water vapor – anyone with at least one science class under their belt could tell you that – but what else? How about ash, soot, smog, car exhaust, and noxious fumes. Kind of makes you want to hold your breath, right? Now, what if you lived in the world’s most polluted city? According to the World Health Organization (WHO), New Delhi is the world’s most polluted city, although officials have vehemently denied it. Up until last Friday the country didn’t even have an effective way to measure the pollution or warn its citizens when things got bad. The country has just started a program to measure the Air Quality Index (AQI) of some of its largest cities. So what exactly does the AQI measure? AQI measures particulates (little bits of things in the air like pollen, soot, dust and ash) in size ranges of 10 micrometers to 2.5 micrometers – lead, gases like ammonia, carbon monoxide and nitrogen oxide, among other things – and then calculates overall pollution. A higher number poses more health risks than a lower number. So at what point does it become a bad thing? If we use the scale that we have here in the U.S. as a guide, zero to 50 poses no problems. The 51 to 100 range isn’t too bad, but may pose problems for very sensitive groups. At 101 to 150, the general public may get a cough or sneeze, but for the most part nothing to report. At 151 to 200 people may do best to stay inside, while the 201 to 300 range indicates emergency conditions for everyone! Red alert! Anything above 300 is a Health alert. Everyone is in for it now! At the time I’m writing this, the AQI in New Delhi is 536! I don’t want to even think what that could do to people having all that stuff fester in their lungs. Lung disease anyone? Which brings up the question, how could things have gotten so bad? India is a developing country with a booming population. The number of cars on the roads has doubled over the last decade. Construction, which has been going on at a breakneck pace, has only added to the clouds of dust over the world’s largest democracy, adding more to the particle pollution. The environment has been a non-issue because of the urgency to modernize the country. Here in the United States, we are protected by the Clean Air and Water Acts, which make the clean air we breathe a right, not just a luxury. It is not fair to point fingers at India and say that they could have handled this better. The county only became independent in 1947, which is relatively recent compared the U.S. They can’t be expected to suddenly have all the issues worked out, especially in a country that many experts still consider “Third World.” If anything, I see their efforts to measure air quality as a big step forward for them on the environmental front and I applaud their decision to start working on a solution to the problem.